Motorcycle since it was first invented and manufactured have been spread all over the world. 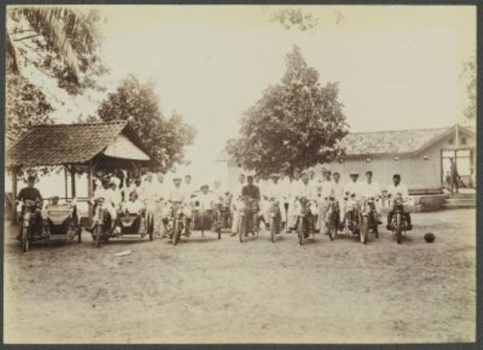 According to Koninlijk Instituut voor Taal, Land en Volkenkunde (KITLV), the first motorcycle came into Indonesia (at that time called the Dutch East Indies or Nederlands(ch)-Indië) was brought by an Englishman, named John C. Potter in 1893. He worked as the First Machinist's at Oemboel sugar factory in Probolinggo, East Java. 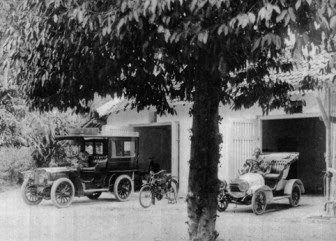 He also known as a car salesman who gets the late King Pakubuwono X of Surakarta trust to take care of his first car delivery from Europe. In the book entitled "Krèta Sètan (de duivelswagen)," tells how John C. Potter ordered the motorcycle by himself to the Hildebrand und Wolfmüller manufacturer in Munich, Germany. 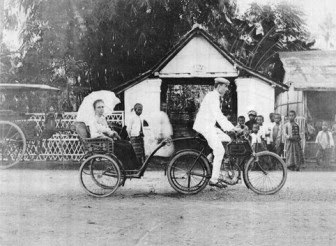 The motorcycle arrived in 1893, one year before the first car belonging to the late King Pakubuwono X of Surakarta arrived in Indonesia. It makes J.C. Potter as the first person in Indonesia who use the motorcycle. In addition, there are interesting things when we observe the arrival of the motorcycle. 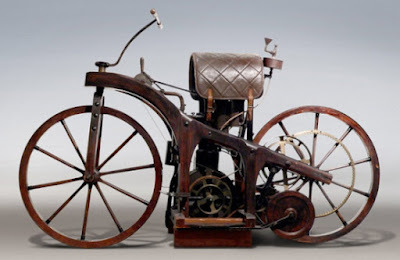 To note, the first motorcycle in the world (Reitwagen or Ridding car) was born in Germany in 1885 by Gottlieb Daimler and Wilhelm Maybach but not yet sold to the public. In 1893, the first motorcycle sold to the public was made by the Hildebrand und Wolfmüller motorcycle factory in Munich, Germany. This bike is first entered into the United States in 1895 when a French circus performer brought it to New York. 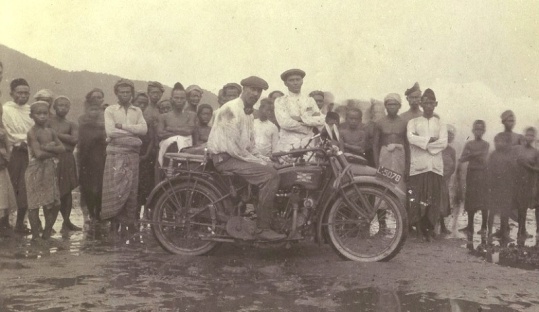 So, even though that not brought by the Indonesian native, but a remarkable thing when the world's first commercial motorcycle was immediately sent to Indonesia in the first year of manufacture. Moreover, only two years later the first commercial motorcycle entering the United States. 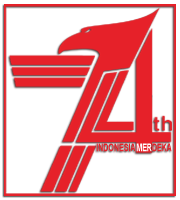 So, motorcycles first entered Indonesia is the first motorcycle in the world as well. This bike does not use a chain and rear wheel driven directly by the crankshaft. 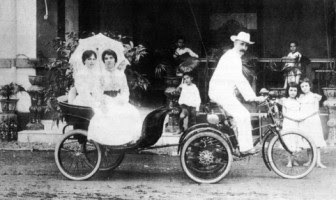 In 1899, the country has also been present three-wheeled electric motorcycle which uses battery power, which is called De Dion Bouton Tricycle made in France. Three-wheeled electric motorcycle was used to pull passenger wagon. De Dion Bouton Tricycle quite famous in its time. Another motorcycle seen in 1902 were also used to pull wagons that Belgium-made Minerva motorcycles. Minerva engine when it also ordered and used on another motorcycle brand before it could make its own engine, such as Ariel Motorcycles in the UK. In 1906, at the Bantool (Bantul) Administrator residence in Yogyakarta also seen to have a motorcycle and several cars. At that time, it is only the Netherlands and the United Kingdom as well as the noble native followed that have the ability to buy a motorcycle in the early days. In 1932, the Hildebrand und Wolfmüller motorcycle is found in damaged condition in the garage at John C. Potter residence. The bike is sitting for 40 years at the corner of the garage in a state not maintained and rusty. By assistance top marine mechanics in Surabaya, a motorcycle belonging to John C. Potter restored and stored in the editorial office of De Motor weekly newspaper. 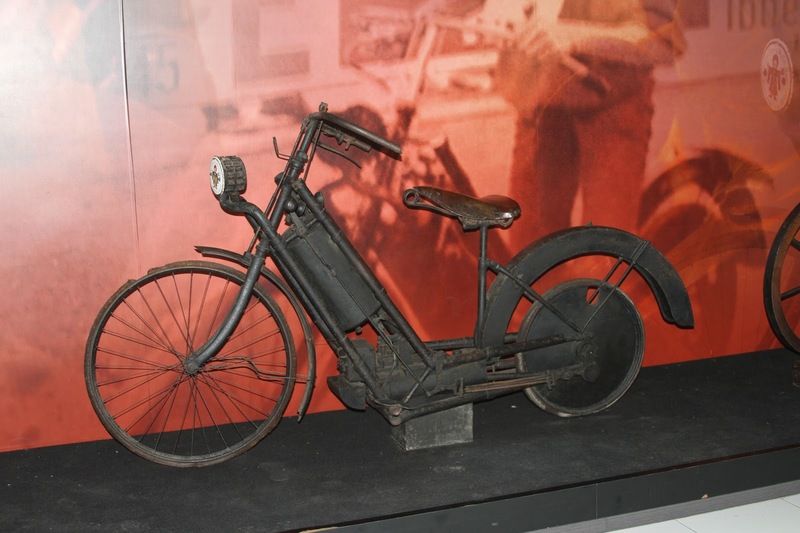 The antique motorcycle was brought to the Museum of Traffic (Police Museum) in Surabaya, later in 1934 donated to the Museum Mpu Tantular in Sidoarjo with inventory number of 10.81, in category of science and technology but it gives a different description, which is a Daimler's vapor motorcycle. Along with the number of cars, the number of motorcycles continues to increase. 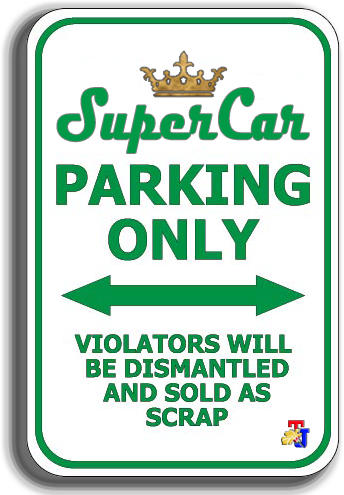 Thus was born the motorcycle riders club, whose members are brass planters and sugar mills officers. And as recorded in history, the first motorcycle club has been existed in Jakarta named 'Motorfiets rijders te Batavia' since 1915. Motorcycle brands are present in this country can be seen from ads motorcycle that was published in the newspaper during the period of 1916-1926. RS Stockvis & Zonnen Ltd is one of the companies listed provide spare parts of car and motorcycle (also take orders cars from Europe and America). Despite hundreds of years old, it was the world's first commercial motorcycle is already carrying technology that until now utilized include horizontal twin-cylinder, 4 valve, water-cooled, and the large engine capacity is 1500 cc with gasoline or naphtha.